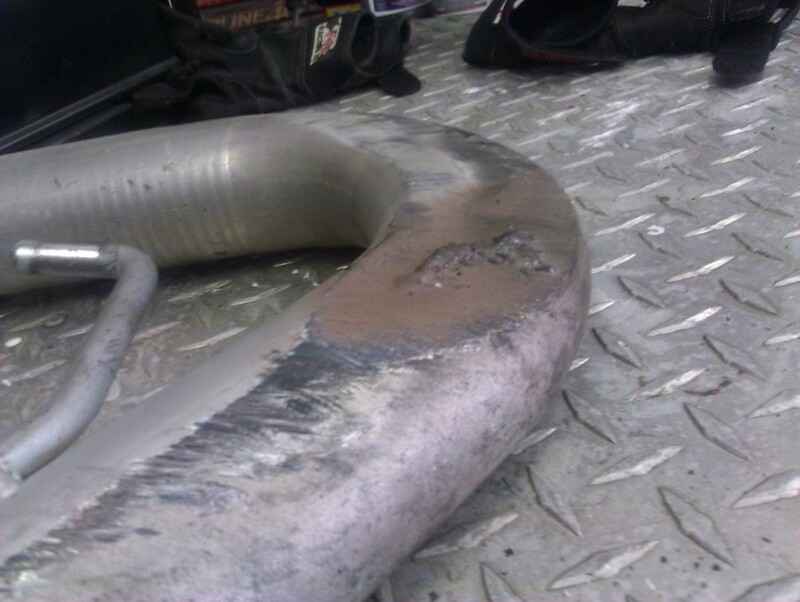 Titanium Motorsports #67: April 5th, 2012 - Fixing the exhaust damage from Sebring. #67: April 5th, 2012 - Fixing the exhaust damage from Sebring. As I talked about in the last update, the drivers-side exhaust was damaged in practice at Sebring. 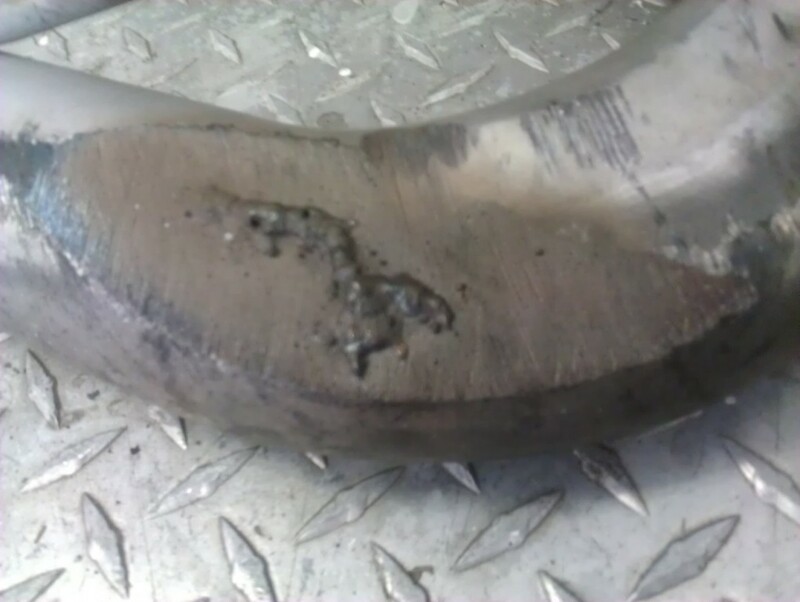 I had a local exhaust shop weld-in some temporary fixes, which got me through the weekend. Now, back at the shop, I can replace all the damage pipes with new parts from SpinTech. 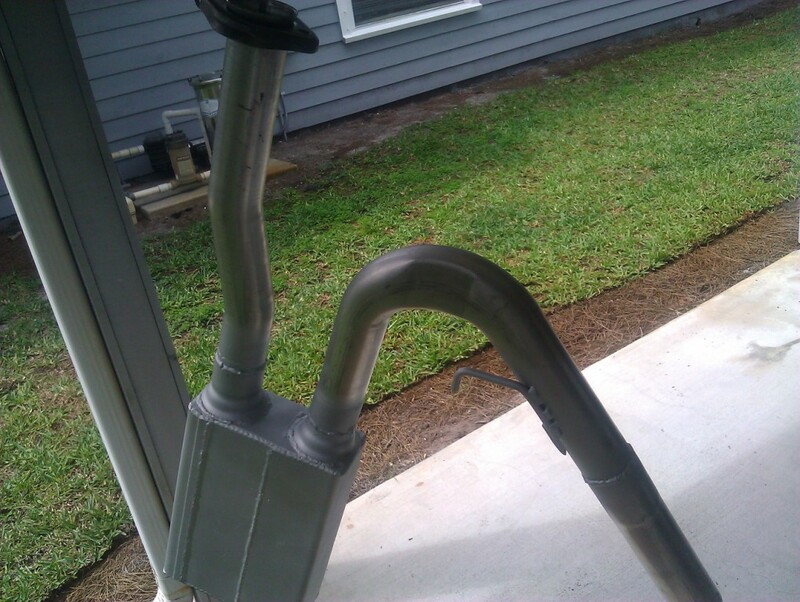 I ordered up an new inlet and outlet pipe, and purchased a new tip from my local Advance Auto parts in Jupiter. 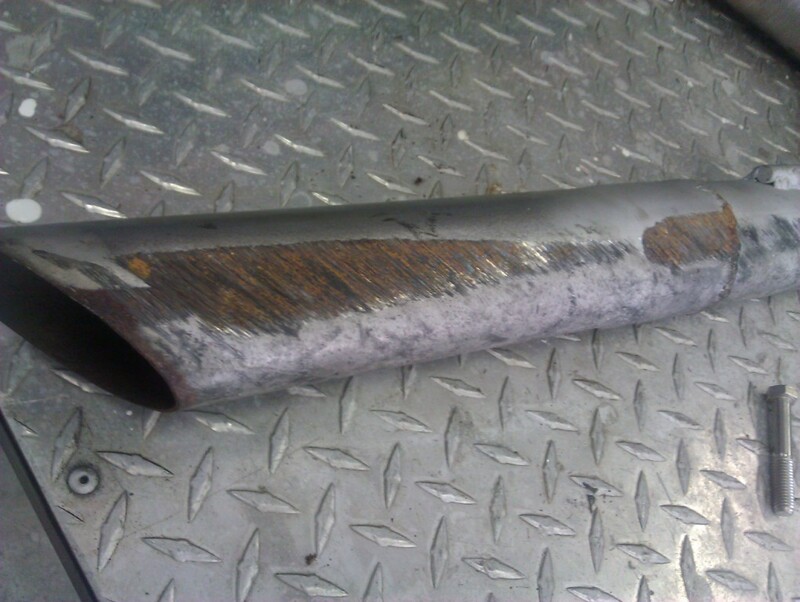 Then it was the matter of cutting all the old welds and removing the old pipes without damaging the muffler. 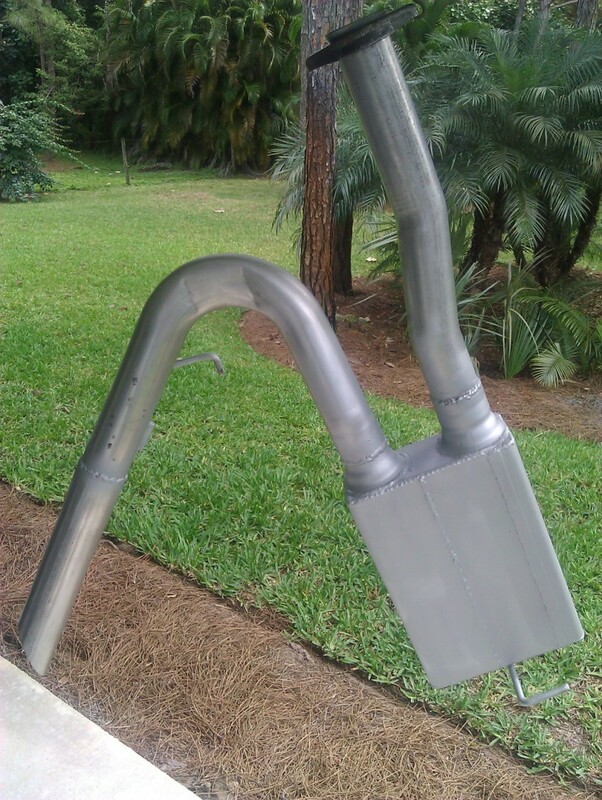 With that successful, I lined-up all the new pipes and welded them into place. 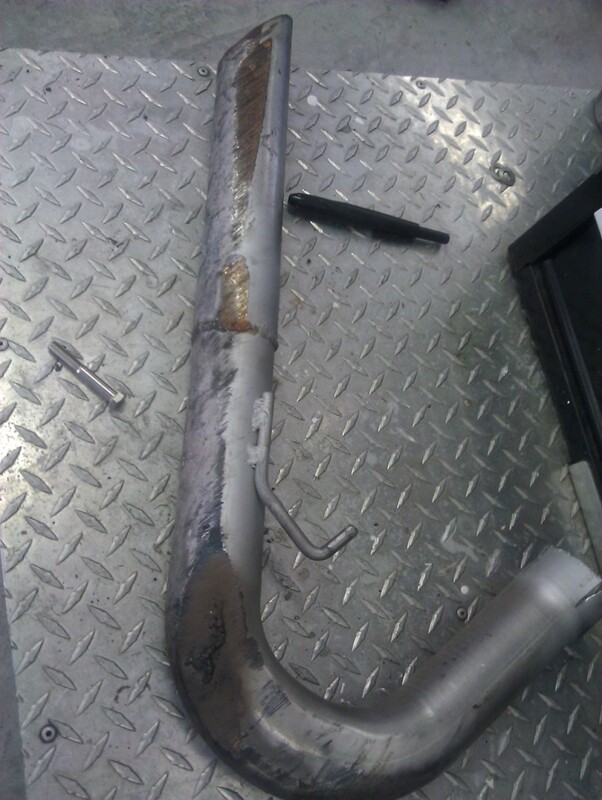 Finally, I gave the muffler and all the welds a coat of high-temperature paint. Last Modified: May 17th, 2012.